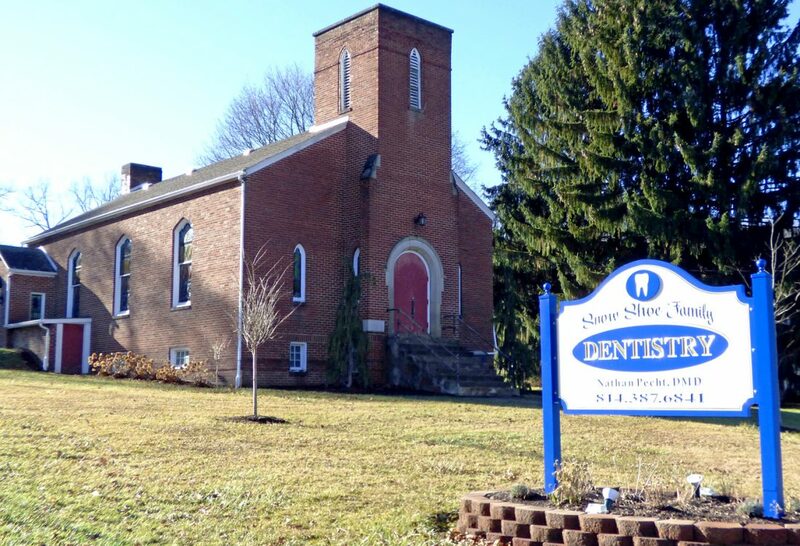 PHOTO PROVIDED The former Snow Shoe Presbyterian Church is now the home of Snow Shoe Family Dentistry. SNOW SHOE — When business owners purchase an old building, they often decide to tear it down and build a new modern structure in the same spot. Dr. Nathan Pecht didn’t see it that way, opting instead to go in a different direction. Pecht grew up in the Beech Creek area, graduated from Central Mountain high school, went to Penn State University, and then on to Pittsburgh to attend dental school. 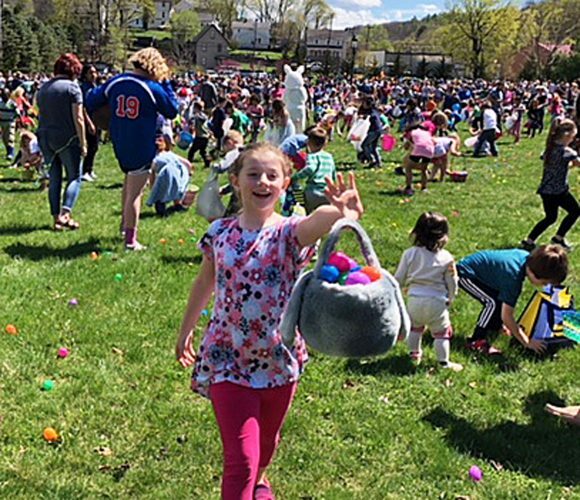 His family moved to the Snow Shoe area in 2010, and Pecht subsequently took over Dr. Paul R. P. Hughes’ dental practice, which served the Mountaintop community and surrounding areas, and also the Bellefonte area. In the fall of 2013, Pecht decided to buy the former Snow Shoe Presbyterian Church, which was rebuilt in 1927 after the original 1869 structure burned down. Pecht’s dream was to convert the building into an office for his dentistry practice, while maintaining the beauty of the stately red brick structure. It took just a little over four years, and lots of hard work, to make that dream a reality. 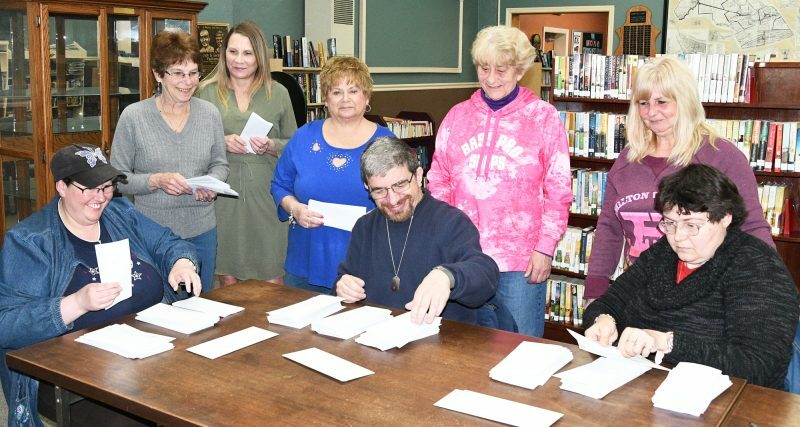 Pecht worked on the renovation project with his wife, Leah, and his father, Dr. Karl Pecht, who was a longtime Family Practice Specialist in Blanchard, until his retirement only a few months ago. 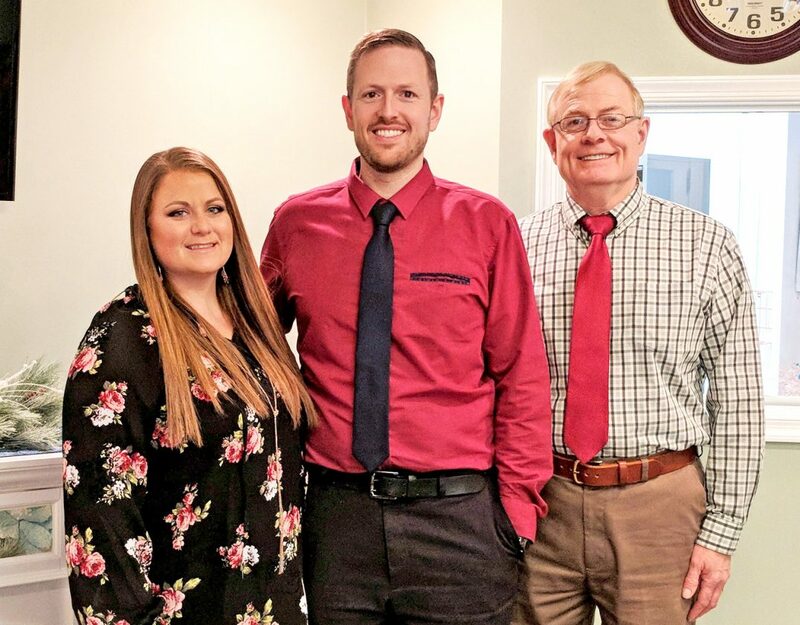 PHOTO PROVIDED From left, Leah Pecht, Nathan Pecht DMD, and Karl Pecht MD stand in the renovated waiting room of the Snow Shoe Family Dentistry office. Pecht basically started with two small Sunday School Rooms, and a large open space where the congregation had been seated. There were no bathrooms upstairs, or even telephone service. Most of the pews were still there when Pecht purchased the building. He gave some of the pews to people in the area, but the majority were given to a pastor out West. “He was starting a church, so I gave the rest of the pews to him,” Pecht says. Working together with his wife and father, the entire renovation was completed entirely by the family trio, with the exception of the carpet laying and the heating installation. Leah Pecht did the interior design work and some painting. Karl Pecht helped out with most of the wiring and a lot of the plumbing, among other things. Pecht said his dad also offered many good suggestions about the renovation process. But it was Nathan Pecht who worked diligently on the project, day after day, for four years. He installed a new side entrance, which is handicap accessible; lowered the 14 ¢ foot ceilings to 8 feet; and completed all of the framing and dry walling, door hanging, and finishing of the stained glass windows and trim installation. Pecht did much landscaping and concrete work, helped his dad with the wiring and plumbing, and did most of the painting. PHOTO PROVIDED One of the many stained glass windows in the renovated Snow Shoe Presbyterian Church building. Pecht says he also worked on the renovation most Saturdays. “Of course, with 6 children there were lots of occasions where I was not able to work a Saturday, or on a Thursday – which is partly why it took over four years to do!” Pecht said. The magnificent stained glass windows in the church were not sold; instead they were upgraded to be energy efficient. 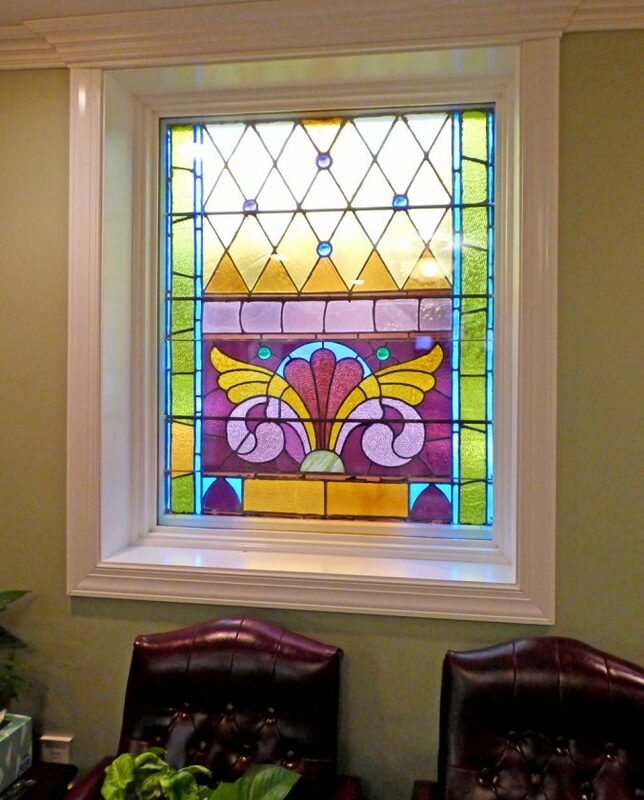 While the outside appearance of the very large stained-glass windows still look the same, on the inside the windows have been reframed to look like smaller normal-sized windows. So thanks to the efforts of the Pecht family, a Mountaintop landmark has been preserved.